It’s an especially good tome for newer Dungeon Masters who want to step up their game. Veteran DMs may find its advice a bit trite, but I find myself returning to its pages every year or so to remind myself of skills I had forgotten I had learned, or to try out some new DMing techniques. Below are three pieces of advice that I come back to constantly, and why they’re vital skills for any Dungeon Master to, well, master. If you thought these tips were insightful, then I highly recommend you buy this book for yourself and read the whole thing cover to cover. There are some 4th edition-specific rules in this book, like its section on Skill Challenges, but I would challenge you to read those, too. I’m a big fan of Skill Challenges, and I use a version of them in my fifth edition D&D games all the time. 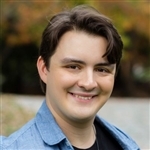 "When I started working at Wizards of the Coast, it took a long time before I felt comfortable running a game for any of my coworkers, even though I used to always DM for my friends back home. They all knew the rules better than I did, and I didn’t want to get caught in a stupid mistake. Eventually, I got over that. When I’m not sure of a rule, I ask my players what they think. If I make a mistake, my players point it out respectfully, and I reconsider my decision. From my perspective, the DM is the person who prepares adventures, plans a campaign, and runs the monsters and NPCs. I don’t want to be a referee or judge, and my players don’t expect me to." No matter what you may think, you don’t need to know all the rules as the Dungeon Master. Despite his trepidation, Wyatt was in the ideal situation here; he had players that all knew the rules and could help support him when he drew a blank. But even if you’re a first-time DM running a game for first-time players, knowing the rules isn’t essential. If you’re playing fifth edition D&D, then the only absolutely vital rules you should know are: how to use ability checks, how to read a monster stat block, and how advantage and disadvantage works. If you have those three skills locked down, then you’re good to go. Of course you’ll mess something up! But unless messing up a rule or two made the game less fun, did you really make a mistake? D&D’s designers wrote the game’s rules in a way that they thought would be the most fun for the most people. If you accidentally interpreted a rule incorrectly, but had fun with your “mistaken” ruling, then it wasn’t really incorrect. It’s just an accidental house rule. Even if you want to learn the rules exactly as written (which is a fool’s errand, in my experience, and one that often does more harm than good), getting the rules wrong is part of the natural cycle of learning a new game. As Wyatt alluded to in the quote above, it’s usually better to make a snap ruling on the fly than to drag the entire game to a halt by cracking open the rulebook and looking for the rules. This isn’t always true, especially in high-stakes scenarios when the proper application of the rules may mean the difference between life and death, but most of the time it’s okay to make an ad hoc ruling. If you do this, make a note of the situation you made a ruling about, then you can go back to your rulebook after the game and remember the correct rule next time. I’m biased, but the D&D Beyond search tool helps me look up rules I’ve forgotten before my players even know I’ve forgotten them. The “Paying Attention” section on page 27 of the 4th edition Dungeon Master’s Guide is just a paragraph long, and I suspect most people will gloss completely over it. I want you to pay close attention to it, because understanding this piece of advice has saved more games than I can count from total disaster. At first blush, this seems like fluff advice. Yeah, of course you want to make sure your players are having fun, that’s the whole point of this thing. I assure you it’s not that simple. First, consider: are you actively observing your players? 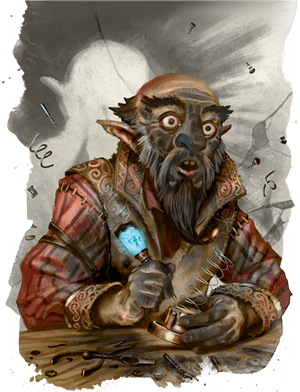 As the DM, you’re probably doing at least three things at once at any given time, like putting on a funny voice as an NPC, while trying to remember what you said as that NPC last session, while also thinking of what monsters you’ll need for your next combat encounter. Paying attention to how engaged your three-to-six-or-more players are at the same time isn’t exactly easy when you’re also doing those other things. But this skill is vital. Your game will instantly become better if you really think about how your players are feeling every five or ten minutes. Are they smiling in satisfaction while another player is taking their turn? Are they engaged in the RP? Are they looking frantically through their character sheet for the spell they want to cast next turn? These are all signs that a player is engaged and having fun—or at least pretending to have fun, which is sometimes just as important. If the player is constantly on their phone, or sitting silently and gazing into the distance, then something’s wrong. If multiple players are doing this, then something’s really wrong. A lot of good campaigns die a slow and painful death before they get to the point they’re “supposed to” end. A number of circumstances makes the game no fun anymore—ranging from player fatigue to life events making scheduling nigh impossible—but the DM dutifully soldiers on, desperate to reach the end of the story they’ve dreamed up. It’s happened to me! It still happens to me. My advice to you, and my advice to me, is to end your campaign with a bang. If you sense that your campaign is sagging—that is, you see an epidemic of low engagement within your group—it may be time to swallow your pride and think of a suitably exciting end to your campaign before it becomes a death march. Then you can take some time off from your weekly game if you or your players need to recover from burnout, try swapping DMs, or even try a different RPG system entirely. I have a crackerjack Tales from the Loop campaign that I would love to run for my group someday, if only I had time. I often dream up the ending of my campaign at the same time as I figure out how to start it. 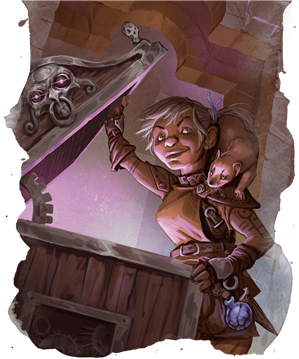 I think it’s one of my biggest weaknesses as a DM because it can keep me from living in the moment, but I also think it’s one of my greatest strengths, because it allows me to create a coherent story that all builds to a singular climax. If you’ve thought of a big climax in advance and need to end your campaign early, just cut and paste the big climax into the next session. It might hurt your ego. It might seem like a non sequitur because it didn’t get all the build-up it deserved. But if you like your campaign’s climax enough to think of it years in advance, it’ll be a fun capstone to your campaign no matter how sudden it is. Likewise, if campaign has a major villain, you can easily end your campaign early by just letting your players fight them. 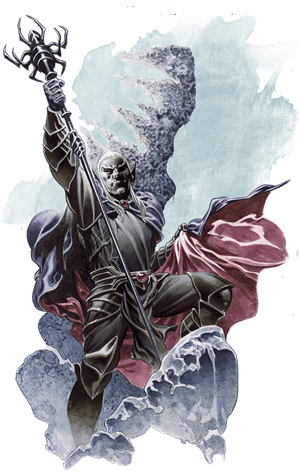 If your Ravenloft campaign is sagging, then the vampire lord Strahd doesn’t have to be fought in the crypts of Castle Ravenloft; he could just as easily assail the characters as they reach the sacred hall of Argynvostholt, or when they are returning to the village of Vallaki to check in on Ireena. You might have to scale the villain’s power down a bit to make it a winnable fight (or better yet, let the players find a totally overpowered artifact or two to give them a fighting chance), but it’ll still be satisfying to finish the campaign with a straight-up fight against the main villain. You can get the 4th edition Dungeon Master’s Guide on the DMs Guild. I urge you to buy the PDF there rather than pirating it online. The Dungeon Master’s Guild is a great resource for finding PDFs of old and out-of-print D&D books. Even though pirated copies of these older books are regrettably widely available online, the PDFs on the DMs Guild are well worth their cost. These PDFs are professionally scanned and optimized, which means they load faster and look better than the pirated alternatives. James Haeck is the lead writer for D&D Beyond, the co-author of Waterdeep: Dragon Heist and the Critical Role Tal'Dorei Campaign Setting, the DM of Worlds Apart, and a freelance writer for Wizards of the Coast, the D&D Adventurers League, and Kobold Press. He lives in Seattle, Washington with his partner Hannah and their hellcats Mei and Marzipan. You can usually find him wasting time on Twitter at @jamesjhaeck. James, is there any kind of advice you can give on the subject of "Pay Attention To Your Table" for those DMs of online games? Edit: By online games, I meant like those commonly run on Discord, audio only, with VTT being an optional visual. However, Play-by-Post is also an online game with a different enough dynamic. Is the physical version still in print? Does the pdf have the errata? I never even ran a game of 4e because I was so into Star Wars at the time, but that DMG is easily the most useful book I’ve ever purchased for running the game in general. Even when I was running a campaign with FFG’s Star Wars RPG, which is a completely different dice system, it was the best tool in my arsenal. No, but you can get it print-on-demand on the DMs Guild. Cheaper than retail. And I would say at about 90% of the quality of the original print run. It should be. I see the 4th Edition Monster Manual in book stores all the time. I’ve seen it recently at my local Half Price Books. You can also usually find it in half price or used book stores. I can speak to this...in a voice or text-only game it’s important to pay attention to who is active and participating. Lack of activity, or lack of roleplaying quality, can indicate a lack of interest. Basically when you don’t have body language to gauge, use whatever else you have to measure the overall indications of enjoyment. Communication is key, though. Use regular player debriefs to actually talk about how things are going. What you were assuming was disinterest could just be confusion or real life distractions. Who is playing 4th edition? Thanks for this article James. I am often a very insecure (first time) DM and I really liked the tips you gave. I'll have to look into grabbing a copy of the 4e DMG at some point soon. One tactic I've heard on "Paying attention to the table" from a veteran D&D player is to use "Two likes and a wish" after the session. Everyone at the table comes up with two things they liked this session and one thing they wish for next session, you can use your "Like" to compliment another player, the DM, or a moment with your character. The wish is to be kept a bit more general, no targeting one individual, and can be things like "I wish we would do more skill checks" or "I wish we had another combat encounter tonight." If everyone is respectful it can be a great way to solicit feedback from the table and it gets them complimenting each other. This is a great moment for players or DMs to hand out inspiration as well, as a little added incentive. The last print run of the 4e DMG was in 2010 or so. You can still find it for sale for cheap on eBay/Amazon, though. Maybe not for much longer, though, since everyone and their siblings are writing about it these days. What are the odds of us getting an article on building an interesting encounter map/location? I know that sort of stuff is very opinionated but I'd be very interested in hearing yours on how to really bring life to the locale and interactive environment. While I believe that 4e was a poor version of the game, the DMG from that edition is one of the best "How to run a game, any game" resources I have ever read. The only other source books (from any game) that do the same kind of 'how to' are Chaosium's Call of Cthulhu (5th ed?) and R.Talsorian's "Listen up you primitive screwheads"
Agreed. My live game with friends is going great. I even use my own bodylanguage and expressions to liven up NPC's. Through Discord/Roll20 I feel that game sux balls while the Campaign/NPC's/Adventure is the exact same for both. I totally agree, thank you for pimping 4th edition! I have 7 players in my Dragon Heist campaign, and fighting the tendency for people to disengage when the pacing slows down has been a continual struggle. It's good to have that reminder to check in with the group every so often. As far as I know you can find it on Amazon or eBay for a really cheap price. I got all three core books on there for a total of $40.